James Maroney is the owner and Director of First Choice College Placement and graduate of Yale University. He founded First Choice College Placement, a college prep company which helps teenagers to prepare for college entrance exams, admission essays, interviews and life on campus. 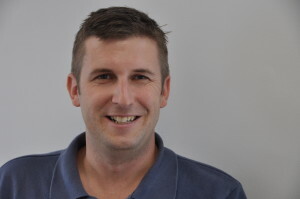 We had a chance to meet and discuss college preparation and placements with James Maroney. We cover all aspects of the college admissions process. We run regular SAT & ACT test prep classes, individual SAT tutoring as well as online SAT tutoring. We help students with admissions essay editing, preparing for college interviews, deciding which college to apply for. We tailor a lot of our services to the individual, really it’s about helping them to gain a place at their preferred college, one that they’re happy at, and that helps them progress in whatever career goals they have. What advice would you give to students looking to advance their career prospects with college education? Take the time to decide what it is you really want to do, once you know what subject you want to study, do plenty of research to find the college that’s right for you. There is so much advice out there to help make the process easier. You recently launched a college preparation podcast; can you tell me more about that? 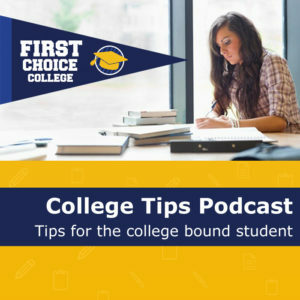 So we launched the “First Choice College Tips” podcast just over a year ago. Each month we cover a different topic and interview an industry professional to give students an insight as well as advice to preparing for a career within a particular field. So far we have been lucky to have some really great guests on, including a college admissions officer, Dream Works animator, and professor of veterinary pathology. Some of our episodes cover more general advice such as writing a collage admissions essay, others are geared towards more specific career choices. We try to provide something for everyone. How can students listen to the podcast? We run them monthly and upload them to our website. They’re also available on several podcast services including Itunes.